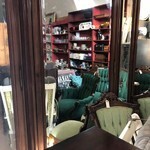 Multiple Estates have been brought into our Estate Sale Liquidation Warehouse. IT'S OVERLOADED, JAM PACKED WITH EVERYTHING!!! One estate is ALL brand new in the box inventory. One estate is all vintage and Victorian, One estate is great furniture, tools, antiques, rustic items, EVERYTHING UNDER THE SUN!!! Stacked and piled high in our new warehouse. This sale keeps growing every minute!!!! We're all out of room inside and out and all the way to the ceiling. Photos and Updates as we rearrange to make it all fit!! Stay tuned for the biggest Consignment Estate Event Yet!!! !